When a mysterious green gas crisis breaks wind, the Global Air Group (GAG) offers a million-dollar prize to the first person to discover the cause. Julius Caesar Brown dreams of winning the cash so he can pay off Jake the Snake, the blackmailing bully who threatens to ruin his chances with the cutest girl in fifth grade. But Julius can barely pass a math test, let alone solve an international scientific mystery. What he needs is money. Fast. His mom volunteers him to help the Zombie Lady. Yeah. The crazy woman down the street who every kid knows eats boys’ brains. But Miss Crabtree’s no zombie. And winning the million-dollar prize may not be as far-fetched as Julius once thought. 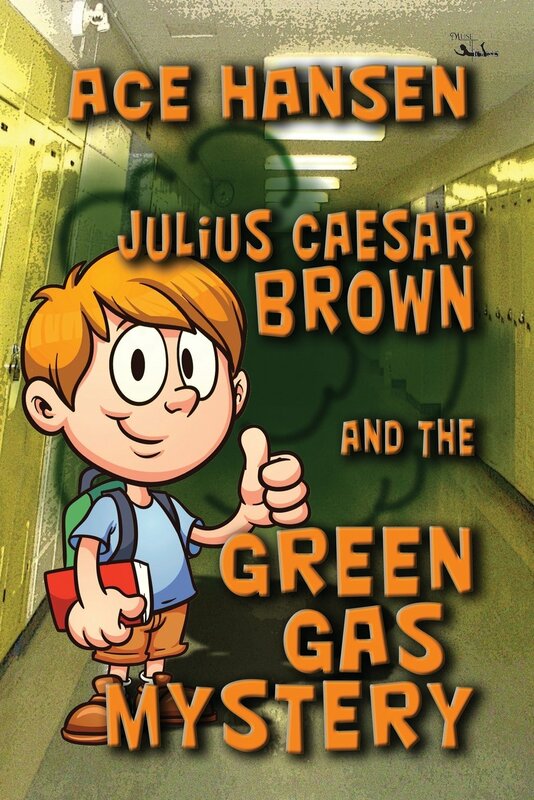 I expected Julius Caesar Brown and the Green Gas Mystery to be an absurd book that revolved around much talk of gas and flatulence. I'm not totally against talk about those bodily functions but don't necessarily read books or go into total conversations about it. Although this book's main point is of a boy who tries to solve a mystery related around people who pass clouds of green gas, it's more mosaic than that. Julius Caesar Brown is a middle school boy who goes on a mission to solve a green gas mystery so he can receive the prize money of one million dollars. Several obstacles get in his way and, to top it off, he has everyday problems to deal with that include a bully and his parent's squabbles. This captivating book about a normal boy facing everyday problems along with an unexplained predicament would make an enjoyable read for juveniles. I bet my nine year old would like this. My 8 year old would like this. I have to say that I'm trying to get him to branch out. It's hard. His reading level is so good, but all he wants to read is Magic Tree House. Oh lord Cole would love. I'll have to tell his tutor about it!